Fill in your details below and we will let you know within 24 hours if we can get Galactic Warlords to you with haste! 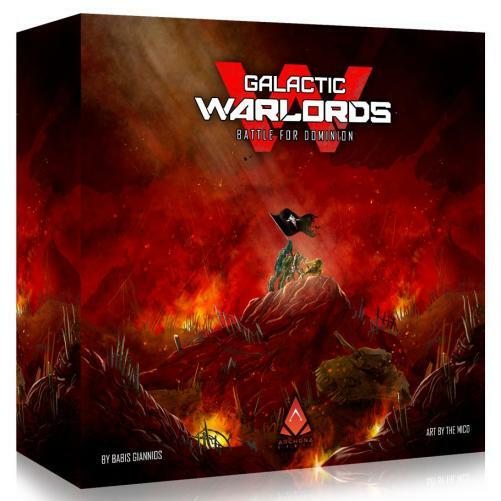 Galactic Warlords: Battle for Dominion is a card-driven game of tactical deployment and planet control. In this game, you play as one of the Warlords, with purpose to establish your dominion over the contested galactic region and score the most points at the end of the game. You will do this by playing your hired Mercenary cards from your hand in your tableau. Each of the Mercenaries will come with their own assets such as Ground Troops or Defense Systems, and abilities (actions) such as Deploy Ground Troops, Recon, Assassinate and many others. By using these assets and abilities, you will be able to assert control over the planets in contested galactic region. At the end of the game, you will score points for completing Missions of the Mercenaries you have played during the game as well as other bonus points. Whoever has the most points at the end of the game is the Great Warlord and winner of the game!